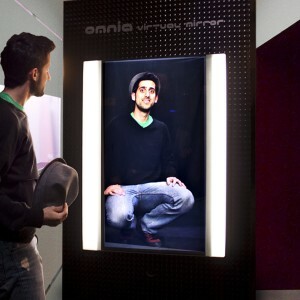 Omnia Virtual Mirror – For better looking people! Omnia Virtual Mirror is a digital mirror allowing users to create a 360° image of themselves. 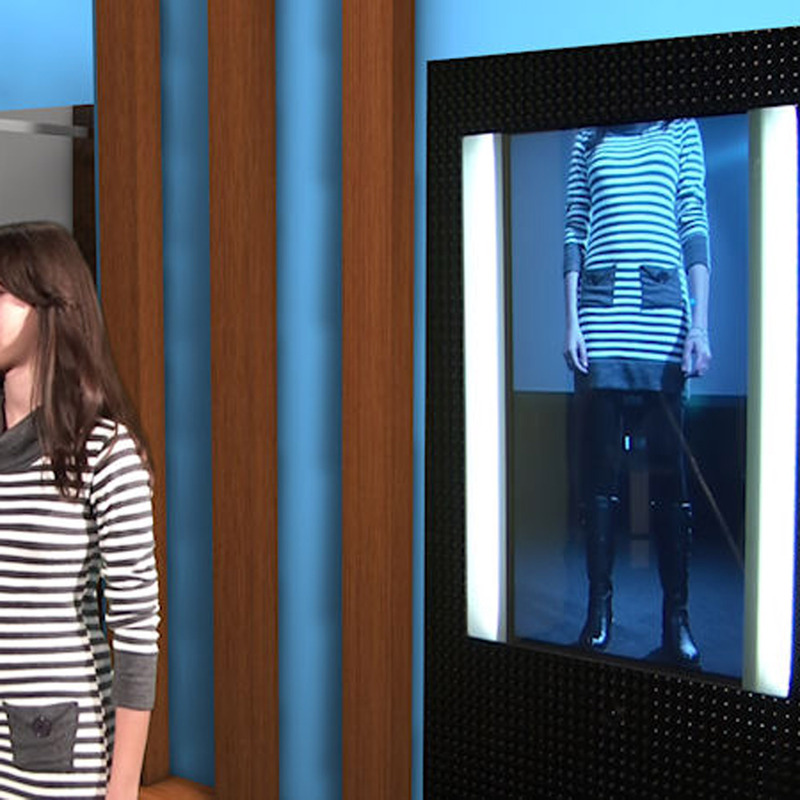 Provided with special sensors which capture the user’s movements when he or she is reflected in the mirror, thanks to our DMT technology, it recreates images with a slight time delay, allowing for complete visualization of a figure as it is offered from every angle. This product is unique, highly original, adaptable to individual preferences through combination with a number of functions useful in pursuing a variety of business goals. 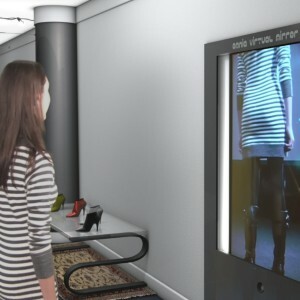 In fact, Omnia Virtual Mirror may be supported by integrative softwares that combine the real vision of the user with a series of digital gaming and/or advertising programs. Omnia offers great commercial opportunities as it closely engages users while offering them functional services, thus enriching the act of purchase. This product is highly useful in the fashion retail sector, as it can integrate itself seamlessly in the last generation flagship-stores’ furniture and design solutions. this product for your business?